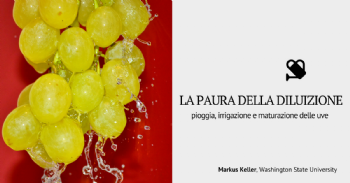 Many growers, wine makers, wine writers, and regulators do not like rainfall and irrigation during grape ripening, because they fear the water will “dilute” the quality of the grapes. 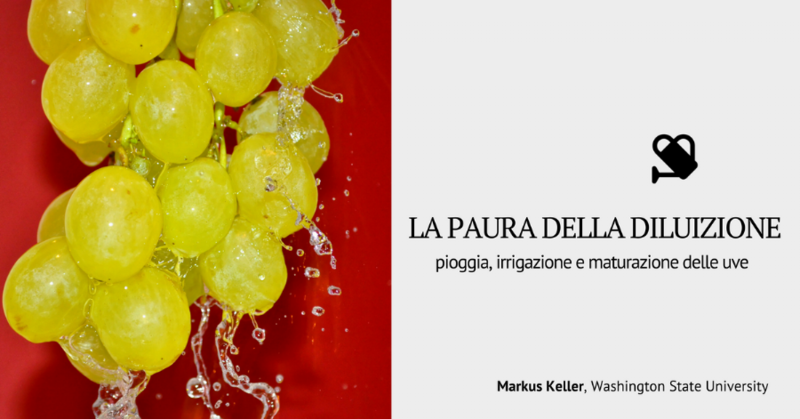 This presentation discuss recent research by his group, which has demonstrated that grape berries control their own size and concentration by changing the inflow and outflow of water. The beginning of ripening (veraison) is marked by a steep increase in sugar, and hence water, inflow to meet the demand of the berries. This enables the berries to ripen even under drought stress conditions. If the air is warm and dry enough, the berries dispose of the excess water by evaporating it across the skin. Under humid conditions, however, they recycle the water back to the leaves. Laboratory data are supported by field trials and show that drip or flood irrigation during ripening does not cause a dilution of fruit quality. However, rainfall events and overhead sprinkler irrigation, or even just very humid conditions, not only prevent water evaporation from the berries but also lead to water uptake across their skin. Such water surplus will slow down sugar and color accumulation and can even lead to splitting of ripening berries. If the rain continues, it will wash out sugars and thus dilute the split berries. But if the rain stops, the split berries begin to shrink, which tends to concentrate them. Therefore, whether such rainfall or overhead irrigation events will dilute fruit quality depends on how soon after their occurrence the grapes are harvested, and whether they have enough time to dry out before or after harvest. In addition, our research showed why grapes ripen faster under dry and warm conditions than under humid and cool conditions.